And Another New Route From BA! 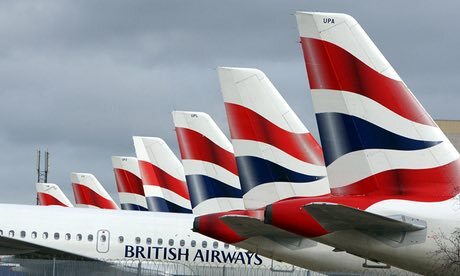 British Airways has announced another new route on its network by starting direct flights to Durban this winter. The thrice weekly service will launch on October 29 2018, departing Heathrow at 1545 on Monday, Thursday and Saturday, arriving into Durban’s King Shaka International airport at 0535 the following day. The return leg will leave the South African city at 0735 on Tuesday, Friday and Sunday, landing back into London at 1745. The new route will be the only direct service between Europe and Durban, and will be served by a B787-8 Dreamliner aircraft. Tickets start from £599 return in World Traveller, £1,214 in World Traveller Plus, and £3,199 in Club World. https://gtm.uk.com/wp-content/uploads/2016/12/3239.jpg 276 460 Paul https://gtm.uk.com/wp-content/uploads/2015/05/logo_trans.png Paul2018-05-14 10:54:282018-05-14 10:54:28And Another New Route From BA! New South Africa Passport Requirement. Please note that with immediate effect travellers flying to South Africa must be in possession of a machine readable passport. Anyone with a non-machine readable passport will be denied entry. Should you have any questions or concerns regarding your passport please do not hesitate to contact us. https://gtm.uk.com/wp-content/uploads/2015/05/logo_trans.png 0 0 Paul https://gtm.uk.com/wp-content/uploads/2015/05/logo_trans.png Paul2015-12-02 15:40:132015-12-02 15:40:13New South Africa Passport Requirement. Important information for anyone travelling to South Africa with a child. Effective June 1st 2015, and regardless of the time of booking, all minors under 18 years of age travelling to and from South Africa will now have to present additional documents which were not needed until now. The new regulations apply to all travellers, regardless of their nationality. They were set out in terms of the South African Immigration Amendment Act of 2010 and define children as being under the age of 18. It is the responsibility of adult passengers to ensure their children have the correct documentation or risk being denied boarding. The new law will be enforced by airlines and immigration officials across the board (land, sea and air). • When both parents are travelling with a child they need to produce an unabridged birth certificate that shows the names of both parents. In cases where the certificate is in a language other than English, it must be accompanied by a sworn translation issued by a competent authority in the country concerned. • When a child travels with only one parent, additional documents should include an affidavit in which the absent parent gives consent for the child to travel, a court order granting full parental responsibilities or legal guardianship of the child, or the death certificate of the absent parent. The affidavit should be no more than three months old, from date of travel. • In the case of a child travelling with a person other than a parent, the unabridged birth certificate must be supplemented by affidavits from the parents or legal guardians confirming that the child may travel with that person, copies of the identity documents or passports of the parents or legal guardian, and the contact details of the parents or legal guardian. • Similarly, a child travelling as an unaccompanied minor would have to produce the unabridged birth certificate, proof of consent from both parents, or legal guardian and contact details, plus documentation relating to the person receiving the child in the Republic. The latter documentation should include a letter stating the person’s contact details and residential address and contact details where the child will be residing, plus a copy of his or her identity document, passport or residence permit. https://gtm.uk.com/wp-content/uploads/2015/05/logo_trans.png 0 0 Paul https://gtm.uk.com/wp-content/uploads/2015/05/logo_trans.png Paul2015-05-19 14:52:352015-05-19 14:52:35Important information for anyone travelling to South Africa with a child. Pretoria — Strike action by the National Transport Movement (NTM) has not impacted operations at South African Airways (SAA), the airline said on Friday. “There has been no impact whatsoever on SAA’s operations as a result of the strike. We emphasise that no flights have been cancelled or delayed as a result of the industrial action,” said SAA spokesperson Tlali. Previously the NTM had served a notice to the airline for strike action last Friday. In December, SAA met with NTM at the Commission for Conciliation, Mediation and Arbitration (CCMA) to conclude the verification process that would allow the union to be recognised by the airline. However, the CCMA confirmed that the union has 1,111 members and needed to have 1220 to meet 30% of 4065 employees who are part of the bargaining unit. This therefore confirmed that NTM failed to meet the 30% threshold. This was the reason the NTM remains unrecognised at SAA. Last week, the airline said it was committed to business-continuity and has a contingency plan to avoid any unnecessary inconvenience to customers. From media reports: Bloomberg Businessweek reported on Thursday that airline and rail workers were planning to strike on 18th January over unmet union recognition demands. Some 1,300 South African Airways staff and about 3,3000 workers at the Passenger Rail Agency of South Africa were planning to strike beginning Friday. Most of the airline staffers work in technical, cargo, and ground staff capacities, and the strike impact on air traffic is not currently known. The workers are demanding that state-owned employers recognize the National Transport Movement union as the majority staff representative, the news source indicated.